Scientists find first evidence that oil from the spill reached land-based animals. (Inside Science) -- When the Deepwater Horizon oil rig exploded in 2010, it spilled more than 130 million gallons of oil. The toxic sludge spread across thousands of square miles of water, coating shorelines and causing catastrophic damage to ecosystems. The oil also seeped beyond the coast and further inland, where the impacts of the spill have been less obvious. The oil likely made its way into plants and animals not typically associated with shorelines -- including, scientists have now found, a songbird called the seaside sparrow. The new analysis marks the first time researchers have detected oil from the Deepwater Horizon spill in a non-marine, terrestrial animal. While scientists knew the spill has inflicted indirect harm on the birds -- through the food chain, for example -- the new study provides strong evidence that the toxic oil is directly harming the sparrows. "We're dealing with a terrestrial bird -- not the classic shorebird or the marine bird that you would expect to be in contact with oil," said Andrea Bonisoli-Alquati, an environmental toxicologist at California State Polytechnic University, Pomona. The research, published this week in the journal Environmental Research Letters, shows that oil did in fact spread inland. "So the terrestrial food web is also contaminated, and this is something we don't typically think of." The seaside sparrow is the one of the most common birds living in Louisiana's salt marshes, which can extend for miles in from the coast. 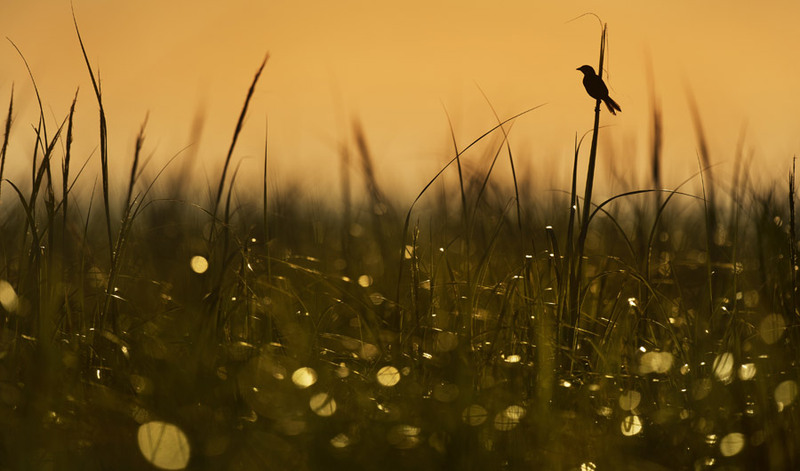 Because the bird resides there year round, it serves as an indicator for the health of the marshes. Given the proximity to the coast, it's not surprising that the oil would affect the bird. The researchers had previously found that after the spill, the bird stopped raising the normal number of offspring. But it was unclear if that was an indirect, ecological effect. For example, scientists have measured a drop in insect populations, a primary food source for the sparrow. Many insects spend their larval stages in the water, where they would come into contact with the oil. But if oil has penetrated the birds themselves, then its toxic effects might be directly harming the bird. Perhaps, Bonisoli-Alquati said, the birds feel sick and can't take care of their young as they normally do. Or, their bodies might be expending extra energy to counter the damaging effects of the oil, which leaves less for producing eggs and raising chicks. To detect the oil, the researchers measured the carbon in the bird's feathers and the contents of its crop, an organ that stores food before digestion in the stomach. They looked for carbon-14, a radioactive form of carbon that decays over time. Half of it decays every 5,730 years, so no carbon-14 would be left in the oil, a fossil fuel buried under the gulf for millions of years. A bird that has absorbed oil thus would have less carbon-14 than an uncontaminated bird. That's indeed what researchers found when they examined birds from an oil-contaminated area and an uncontaminated area. The birds, 10 in total, were shot and killed in 2011 to access and study their organs and what they ate. The contaminated birds contained less carbon-14, showing that they absorbed oil from the Deepwater Horizon spill. "That means they're getting exposed," said Mary Ann Ottinger, a biologist at the University of Houston. "That means there are toxicants like PAHs [polycyclic aromatic hydrocarbon, a pollutant] in the oil that's going to directly impact the development of the embryo because it's going to get incorporated into the egg." It's unclear how the oil entered the birds, Bonisoli-Alquati said. The sparrows might have eaten contaminated insects or somehow absorbed the oil from plants and the environment. Other researchers have used this radiocarbon technique to measure oil in fish and marine invertebrates like shrimp and oysters. But no one had previously tried to detect oil in a terrestrial organism, Bonisoli-Alquati said. The next step, he said, is to try to understand the oil's effect on a cellular and genetic level. A genomic analysis of the contaminated birds' liver tissue reveals that the oil seems to be boosting the expression of the genes involved in cellular growth and replacing cells. An increase in their activity could be a response to damage from the toxic oil. The sample size of 10 birds is rather small, but the new study is still useful, filling a gap in the understanding of how the oil spill has affected wetland and terrestrial wildlife, said Scott Zengel, a coastal ecologist with Research Planning, Inc., an environmental consulting firm that specializes in oil spills. "At least for Deepwater Horizon," he said, "there's been a lot more emphasis on marine or offshore-type resources, and a little bit less emphasis on wildlife species in shore -- particularly in the marshes and coastal wetlands." That lack of emphasis means people tend to underestimate the connections between species in different environments, Bonisoli-Alquati said. "Boundaries between other ecosystems are much more blurred than we recognize."